In the future, mass devastation has lead humanity to abandon Earth. But, the children of the Far Side are left unaware of the mother planet just on the other side of the moon. 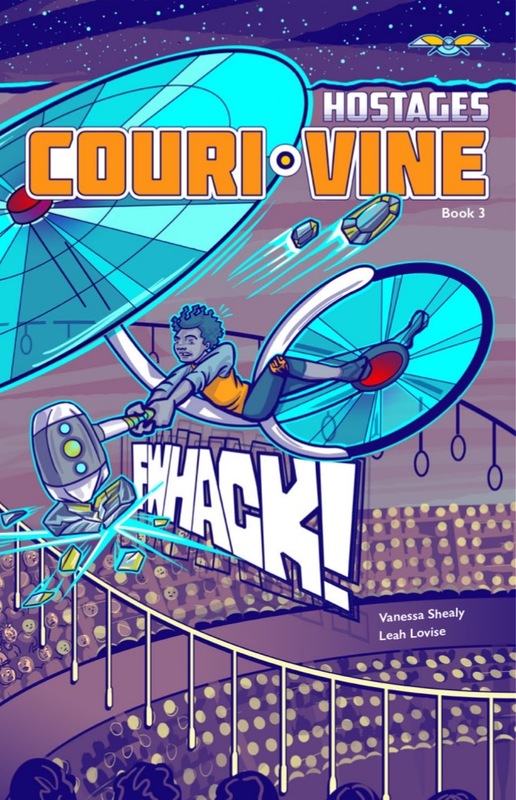 COURI VINE is a comic books series about a curious 11-year-old girl who embarks on a journey that reveals her true potential. 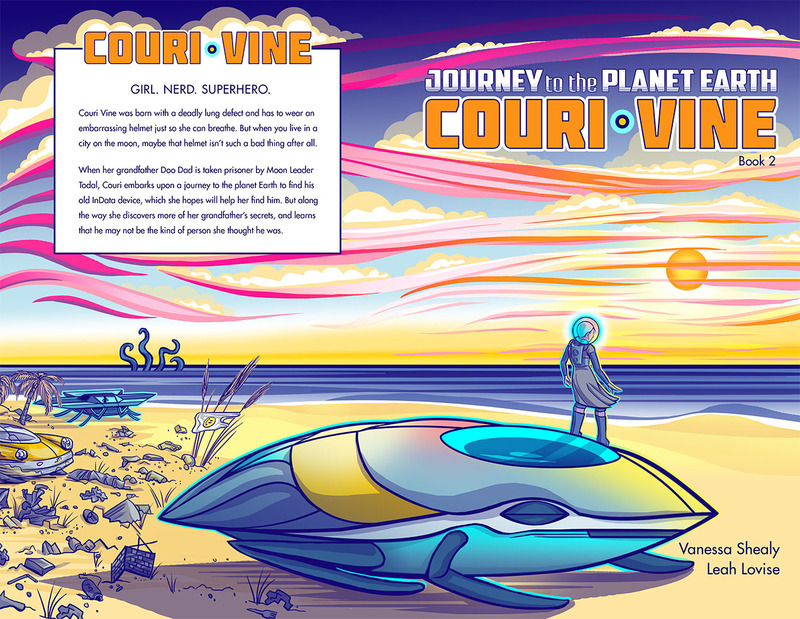 Couri is considered an outcast among her classmates with a lung disability which sets her apart. 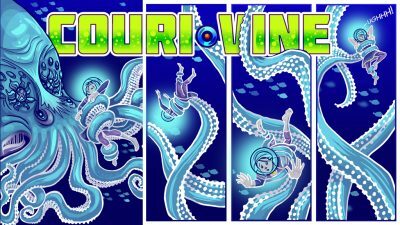 She requires the aid of a life support system developed by her grandfather, a once renown inventor in the scientific community who is now exhibiting signs of senility… or so it seems. When Couri discovers a secret map in her grandfathers study, she soon comes to realize the Moon Leader’s agenda which threatens any future for life on the hidden planet, Earth. She sets out on an adventure, uncovering the truth of what caused the great migration and why she is subject to life in a bubble. 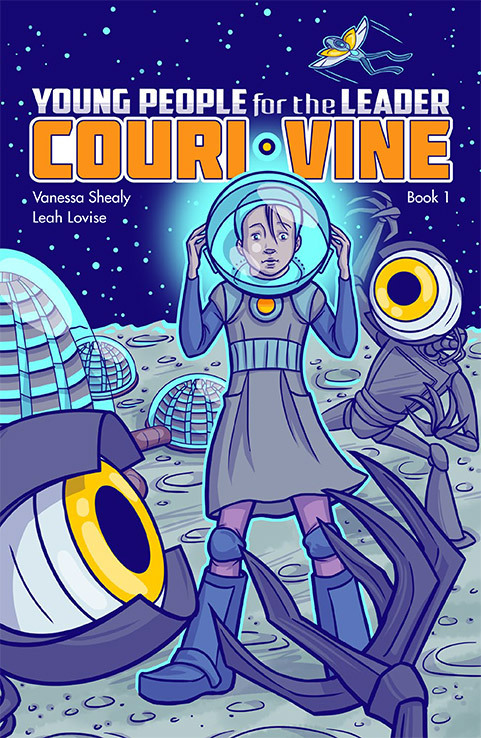 COURI VINE explores the perspective of a young girl who lives in a corrupt moon society and the remarkable abilities that exist when she excepts that her abnormality is actually her super power. 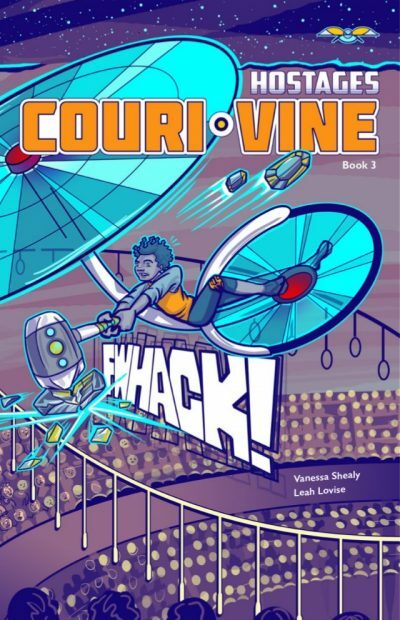 When writer Vanessa Shealy and I first visited the idea of creating a comic book series, I hesitated when excepting the challenge, knowing it would be a daunting task that would test my skills as an illustrator. Putting aside my ego and grueling self-doubt, I said, YES! Let’s tell an exciting story. Let’s inspire girls to be all they’ve ever dreamed. Let’s make good art! Get your copy COURI VINE Young People for the Leader and Journey to the Planet Earth today!